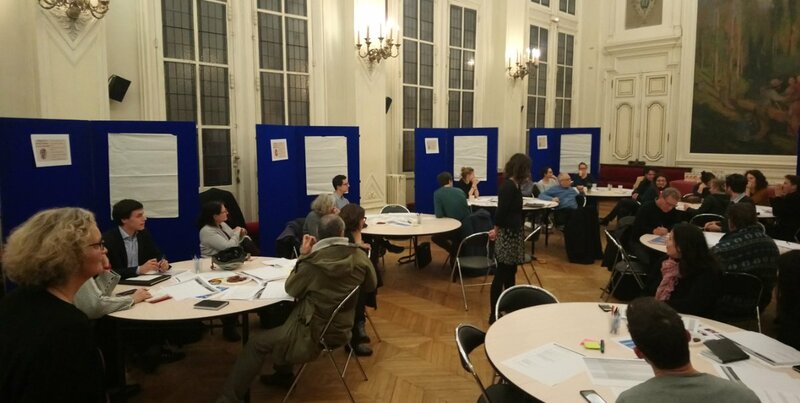 Thursday, November 23, 2017, the City of Paris organized the 4th Night of debates. A whole night to remake the world and Paris in the conviviality, in the bars, the cafes, the libraries, but also the banks of the Seine, parks and gardens opened for the occasion. Because the conversation is a common good and because debate is the very essence of democracy, the “Nuit des Débats”, Night of Debates is an opportunity to bring this spirit of exchange to life. La “Nuit des Débats” is an initiative of citizens' debates launched by the City Council of Paris in 2016 (at the moment when the Parisians were in Republic for the Nuit debout). 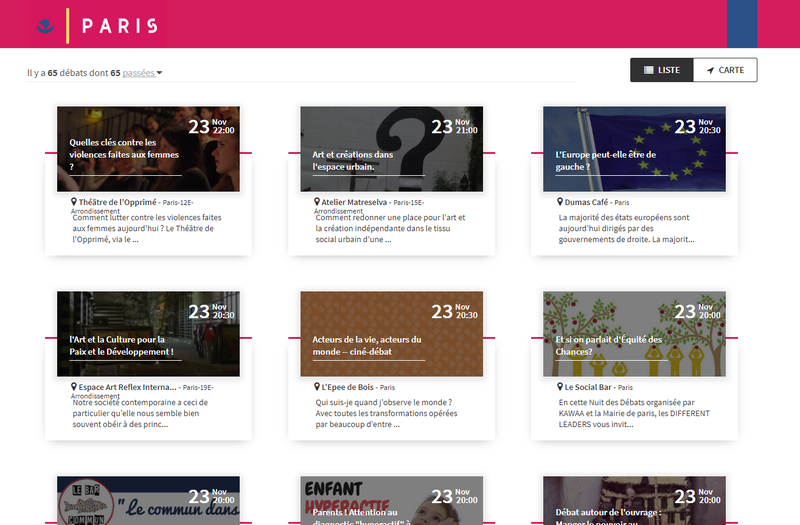 The idea is to offer a showcase of communication to Parisians to organize their debate. If you are interested in a subject on which you want to debate, all you have to do is find a place (or look at the list of venues that are part of the Night of Debates), contact these places, bars, municipal halls to welcome your free debate open to all, then enter your debate on the site paris.fr/nuitdesdebats. The Paris City Council, explain: "Because conversation is a common good, and because debate is the very essence of democracy, it is up to us to protect the material possibility of discussion. That's why we want to encourage all existing forums for debate, and to install it even where it has been absent so far. Our bars, our cafes, our places of life have been part of all the revolutions and all the social progress. Let's continue to converse and controversy to bring to life, in our cosmopolitan city, the spirit that makes Paris a free and rebellious capital. "